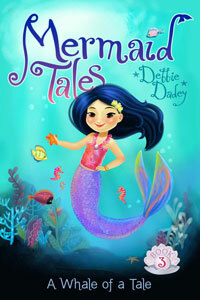 Isabel, You should be able to get the Mermaid Tales books at any bookstore. If they don't have the one you want in stock, ask them to order them. They are also available online with your parents permission. You can click on each book to go to a link to buy the book. You can also ask your school librarian to buy more for the school library! Bronwyn, hope you like the Polar Bear Express as much as I do! Kiki, like me, is very concerned with the environment. Dear Bronwyn, how cool is it that you look like Kiki? She is the star of books 3, 7, 11, 15 and next year's #19. Dear Huria, I do want to be your friend! 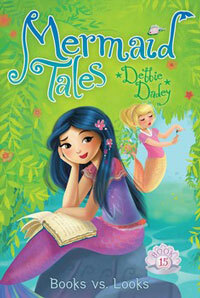 It is hard for me to pick one Mermaid Tale as my favorite because I like them all! The Polar Bear Express is definitely one of the my top picks though. Lily, you are special too! Lisa, you have been to a LOT of different countries! I haven't been to nearly that many, but I have enjoyed visiting United Kingdom (England and Scotland), Germany, France, Belgium, Switzerland, Romania, Mexico, Canada, Austria, Egypt, Jamaica, Dominican Republic, Bahamas, Croatia, Greece, and Italy. I hope I didn't forget any! Dear Tess, I hope you'll have a wonderful time in third grade! I loved it, except that I got in trouble a lot for talking too much! My advice is to smile and be nice. I often find that other people are as nervous as I am! I'm pretty sure you won't have any monsters or mermaids for teachers! I'm so glad you like Kiki! 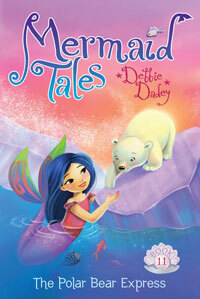 (Book #19 is about her and a contest).